THE FLIGHT OF THE PHOENIX – In the tradition of male-dominated motion pictures from the Studio Era (The Lost Patrol, She Wore a Yellow Ribbon, Sahara), this features a stellar cast, a disaster-genre subplot, and bizarre twist in the screenplay. 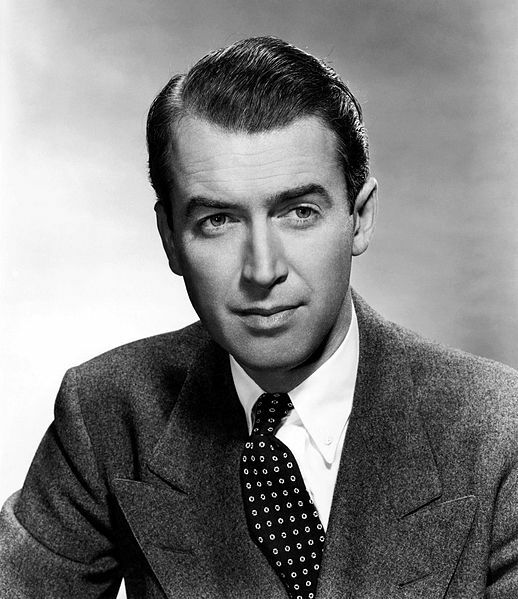 When film critics list the fine roles of James Stewart, The Flight of the Phoenix is often omitted. Richard Attenborough, Peter Finch, Dan Duryea, Hardy Kruger, George Kennedy, Ernest Borgnine, and Ian Bannen also star. Like Taking of Pelham 1, 2, 3, it spawned a remake. The Flight of the Phoenix is based on a 1964 novel by Elleston Trevor. The plot involved the crash landing of a transport plane in the middle of the North African desert. Studios immediately conducted a bidding war for the rights to the book. 20th Century Fox developed the vehicle with the intent to create the kind of gritty movie made in the 1950s involving the collaborative effort between James Stewart and director Anthony Mann. Audiences enjoyed the effort; critics found the adventure story unrealistic. The strong supporting cast was ably directed by Robert Aldrich. His career included strong stark films such as Vera Cruz, Kiss Me Deadly, What Ever Happened to Baby Jane, Hush Hush Sweet Charlotte, and later, The Dirty Dozen and The Longest Yard. This ideal script was handed to Aldrich in 1965. The brilliance of making one of the heroes a German engineer in contrast with Americans and British soldiers cannot be denied. Hardy Kruger was up to the task. His character’s solution of applying the concept of flight from a toy glider to the rebuilding of a wrecked aircraft was delicious. The conflict between Stewart and Kruger created an inevitable dichotomy. The remaining actors (particularly Richard Attenborough) then react over a political war of wills. They ultimately developed into a cohesive team. HARDY KRUGER —> surely steals this film. The downing of the plane (a Fairchild C-82A Packet) was problematic. Director Aldrich insisted on multiple takes to get the perfect crash. One of the last takes, which is used in the movie, caused the demise of legendary stunt flyer, Paul Mantz. The accident haunted James Stewart throughout the filming. The actor had lost a personal friend. This motion picture was over two hours long, which allowed the director to flesh out each role. 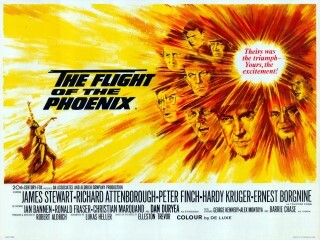 If only 20 minutes shorter, The Flight of the Phoenix might have presented far crisper scenes. Dream sequences created an avenue for women to be cast in the flick, but it really doesn’t advance the plot. Arguably, no one ever had a better career playing wily villains than Dan Duryea. His Broadway appearance in Dead End set the tone that typecast the actor when he was discovered by Hollywood. In contrast to his actual demeanor, Duryea was influenced by film noir, and early cruel performances by Richard Widmark, Robert Mitchum, and Victor Mature. His notable roles include The Pride of the Yankees, None But the Lonely Heart, The Woman in the Window, Scarlet Street, and Criss Cross. His friendship with James Stewart led to Duryea’s casting in Winchester ’73, Thunder Bay, and of course, The Flight of the Phoenix. 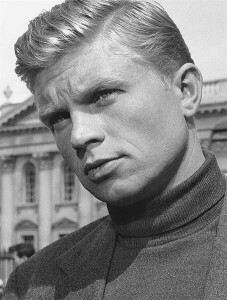 Ironically, his role in the 1965 film allowed the actor to play a character similar to his own psyche. At Stewart’s suggestion, Robert Aldrich gave the assignment of naming the plane, The Phoenix, to Duryea. This was a legacy-gesture for the ailing actor who died of cancer in 1968. The Flight of the Phoenix received two Oscar nods. The German public appreciated the role of Hardy Kruger, which might of helped thaw the United States / Germany relationship. Bitterness still existed because of postwar trials in Nuremberg that tangentially indicted the entire Fatherland; plus, there were constant reminders of The Holocaust in Hollywood scripts involving World War II. Kruger was humble, appropriately suggesting he was just doing his job. For this singular reason, this piece of celluloid remains an important contribution to filmmaking. This entry was posted on Friday, March 2nd, 2012 at 12:41 am	and is filed under Blog by Manny Pacheco. You can follow any comments to this post through the RSS 2.0 feed. Responses are currently closed, but you can trackback from your own site.